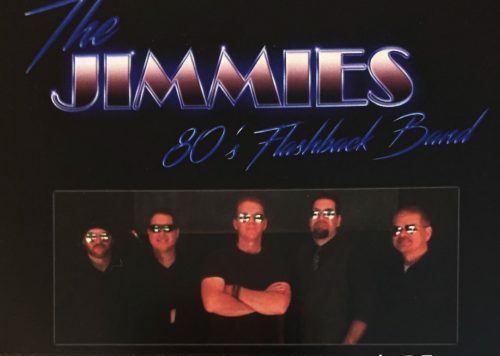 The Jimmies 80’s Flashback Band is a 5 piece, family friendly rock band playing all the biggest & best hits of the 80’s! We play everything from INXS, Prince and Flock of Seagulls to Billy Idol, Tom Petty, Modern English and Devo. Over the last 5 years we have been playing all over Delaware, MD, PA, and New Jersey for bars, bandstands, and the best summer concert series and private parties around. We’ve seen a million faces… and we’ve rocked them all! If you love the music of the 80’s like we do, c’mon out and keep that scene alive!